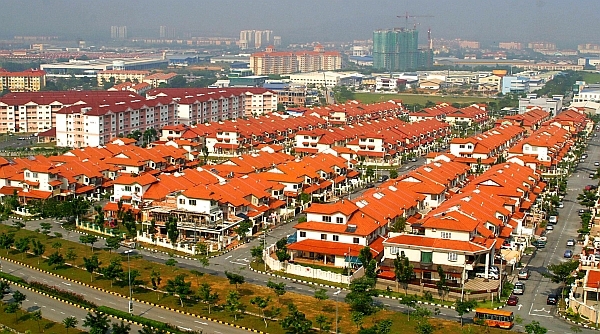 In Malaysia since over 50 years ago, people started migrating into towns and cities. Mainly they moved from thatched-roofed kampong houses built on stilts into modern terrace houses which came ready with electricity, piped water and indoor sanitation. 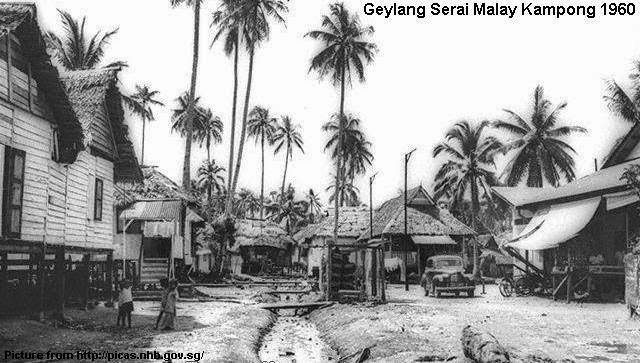 But the traditional kampong houses that were left behind had much to be counted in their favour (figure 1). Kampong houses were close to nature and open spaces, children had lots of friends to play with and to explore together the world around them. Set in small villages, the community was small in number but strong in spirit. In contrast, terrace houses (figure) are lined up along grid-lines with 40’-50’ (12m-15m) service roads in front with much smaller back lanes and side lanes. My family home is a terrace house at the edge of Kuala Lumpur when it was still just a large town, close to nature and open spaces, among neighbours that you knew. I had lots of friends, together we explored the world around us. It was not exactly like Lat's boyhood in "Kampong Boy", but close. However that was not how my children grew up. With growing population and urban migration, more people are crowded into cities. The road in front of the terrace houses may have once functioned as a good social space, safe even for children to play on. However, as cars became more prevalent – this social space on the street disappeared. Communal areas for schools, civic and religious buildings as well as open areas for playgrounds and parks may be provided in new housing estates. But despite these amenities, the design of many housing estates does not really meet the practical needs of raising a family. Worried about safety from speeding cars and strangers, children are cooped up indoors. Mothers become full time drivers, taxying their children from school to tuition to classes to play dates. There is scant opportunity for children to play outside on their own as they once did in the kampongs. Living in terrace houses has become little better than living in high-rise apartments. It’s a price to pay for urbanization, which has happened not only in the cities but also in the countryside, where new housing estates have sprouted around the edges of once small towns. It's possible to buy homes with lush landscape and club facilities, in secured and gated enclaves, but most people would never ever be able to afford them. My father bought our home, a terrace house, in 1968 for only RM13,000. Of course, prices have been going up and up, because of higher costs of labour and materials, but mainly because of the spiralling cost of a depleting resource for growing cities - land.